La0.7Sr0.3MnO3 (LSMO)-BaTiO3 (BTO) nanocomposites have been synthesized by adding different amounts of BTO using the sol-gel method. The structural analysis confirms that both phases coexist in the composite samples with the rhombohedral and tetragonal structure for LSMO and BTO, respectively. The magnetization measurement shows a decrease in magnetization with the increase in BTO concentration and a signature of the spin glass-like characteristics of the nanocomposite. The dielectric behavior indicates the existence of the magneto-electric coupling between LSMO and BTO phase. The measurement of transport properties shows that resistivity increases with BTO concentration and metal-insulator (M-I) transition temperature shifts towards lower temperature. The low-temperature (T < 50 K) resistivity behavior of the samples is analyzed by using the Kondo-like transport model. The results show the spin-disordered scattering increases with the increase in the amount of BTO in LSMO phase. 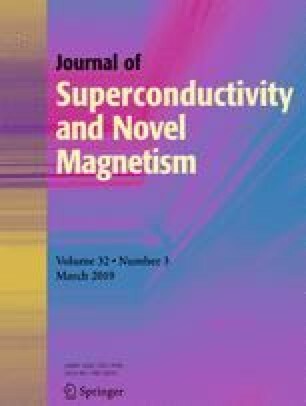 The low-field magnetoresistance (LFMR) of the nanocomposite is improved as compared to the pure LSMO. The highest value of LFMR achieved for LSMO-BTO composite at 10 K is 35.5% with a 1 T magnetic field. The authors want to thank UGC-DAE, CSR, for providing the experimental facility. Kumar Navin is thankful to the MHRD, Government of India, and to the Director of MANIT for the institute fellowship and for providing the infrastructure to carry out this research work.